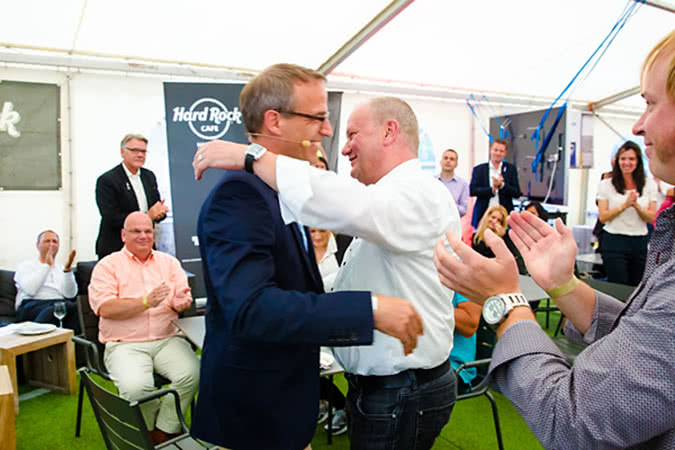 On June 20, 2014, Jürgen Werner, CEO of CARLISLE® Construction Materials GmbH, left the company for his well-deserved retirement. An era comes to an end, which actually began in 1984 at PHOENIX AG Hamburg. After successful completion of studies for graduates in chemical engineering, Jürgen Werner began his career at PHOENIX AG in Hamburg-Harburg. This was where he later met our CEO Gregor Ellegast who also started at PHOENIX AG as new graduate in industrial engineering. Over the next few years a very close and successful cooperation between the two developed. In 2001 they conducted their first joint management buy-out and founded the company PHOENIX Xtra PRINT GmbH in the business area of printing blankets. Within a short time time they led the company to success and sold it in 2005 to CONTINENTAL AG. With a further management buy-out Gregor Ellegast and Jürgen Werner separated the company PHOENIX Dichtungstechnik GmbH (PDT) from the CONTINENTAL Group and thus entered the roofs of the world. The two entrepreneurs stayed in the business field of waterproofing for the following years. However, in the company’s history nothing remained as constant as change. In August 2011, the internationally operating group CARLISLE® Companies Incorporated expressed interest in buying PDT. The multinational, publically traded company wanted to expand its European activities in the construction materials business and had become aware of PDT as the chance for a successful acquisition in Germany. This was how PDT turned into CARLISLE® Construction Materials GmbH. Over the past three years, the two dedicated managers have rapidly pushed forward the company’s growth, supported by the resources of the American parent company. 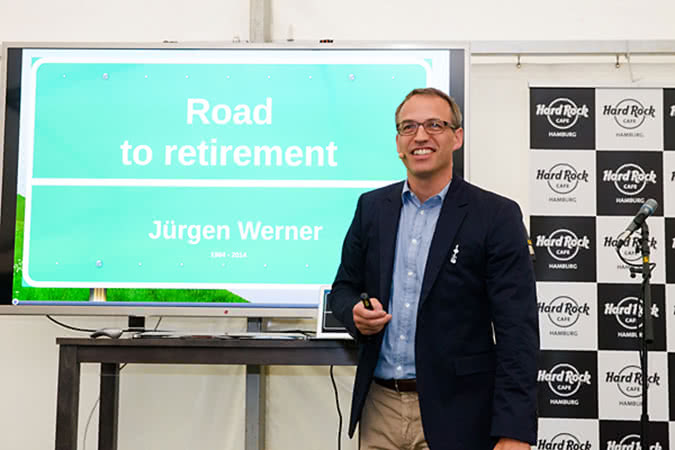 Now Jürgen Werner has chosen a recent change of course and will concentrate more on his family and his private life. We wanted to thank Jürgen Werner for the excellent cooperation with a farewell party which should be a worthy conclusion of his working life. 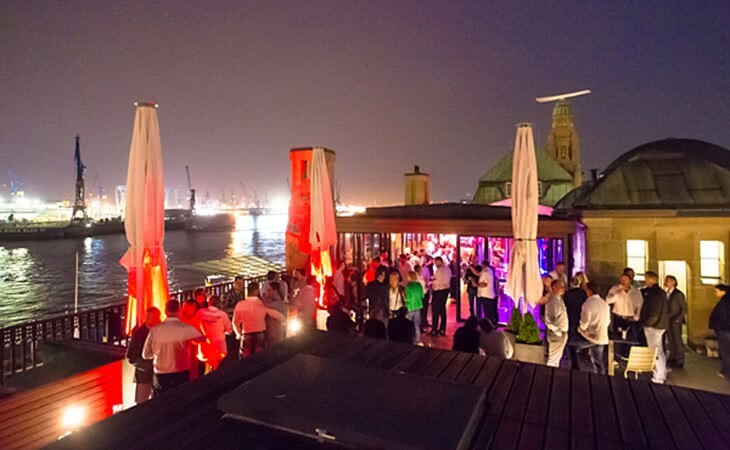 A more than suitable location for his party had been found soon: The Hard Rock Cafe Hamburg, because he does not only have a special connection to roof waterproofing but also to the Hard Rock Cafes in this world. 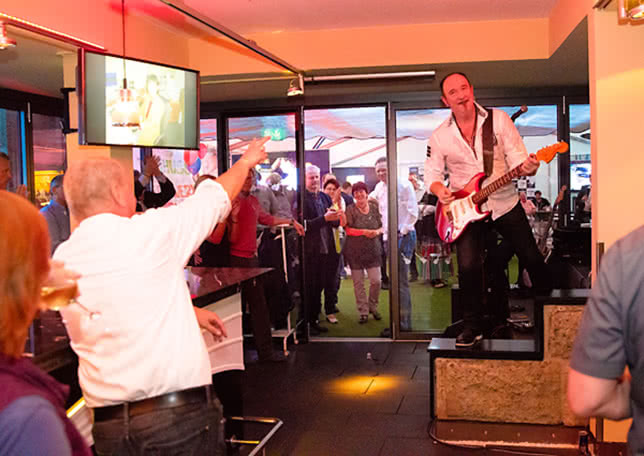 On the evening of June 27, 2014, around 120 guests gathered on the roof terrace of the Hard Rock Cafe, all of them people who had accompanied Jürgen Werner throughout his professional life. The party lasted until the early morning hours. Then it was finally about time to say goodbye.